A counselor can make a profound difference in someone's life. 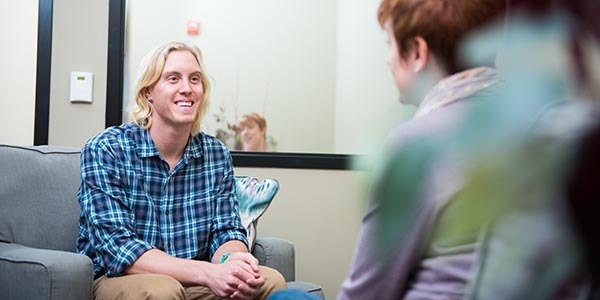 Our nationally accredited counseling program enables graduates to deliver professional counseling services in a clinical mental health or school setting. The program is distinguished by exceptional in-classroom instruction, a cohort model where students form strong bonds and progress together, and both academic knowledge and theory. The experience of closely supervised practicum and internships build competence in counseling skills and in personal growth. Cohorts begin each June. Complete the two-year, full-time program or three-year, part-time program. Our graduate counseling program includes faculty like Amy Ford who tackle some of life's hardest challenges, like helping children grieve after tremendous losses. Our on-site clinic allows students to develop expertise with the help of faculty and clinical supervisors. When Ashlee Davis,’12, joined the team at Pacific Crest Middle School in Bend — she set her sights high. With the support of the school’s administration, Davis and Andy Krauthoefer,’17, built a school counseling program that puts the social-emotional health of students front and center. Davis and Krauthoefer launched new programs and initiatives, worked with an advisory team, and spend 80 percent or more of their time each day working with students. They collected data over two years to measure the effectiveness of their counseling efforts. The program is working. Grades are up. Absenteeism is down. And Pacific Crest is now one of three schools in Oregon to be named a Recognized ASCA Model Program (RAMP) by the American School Counselor Association. Robyn Loxley, an alumna of the clinical mental health program, focused on high-risk populations, trauma-informed care and crisis intervention in order to serve a much-needed niche in the counseling field. She named the counseling clinic as the "room of requirement" - a place where everyone gets what they need. "Spending a year as an intern in our community clinic was a pleasure because I was able to visit with faculty that I have known since my first years in undergrad while ensuring that students were able to seek services and inquire about the counseling program easily." The Council for Accrediting Counseling and Related Educational Programs (CACREP) is recognized as the gold standard for university counseling programs. Our graduate counseling program prepares the counselors of tomorrow with exceptional in-classroom instruction using a cohort model where students form strong bonds as they progress through their coursework together. The application for the summer 2019 cohort closed on December 2, 2018. The application for the summer 2020 cohort will open September 2019. 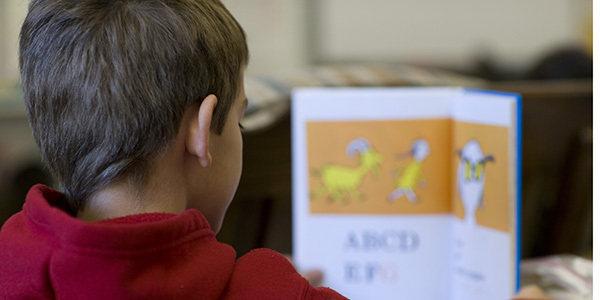 Learn more about admission requirements.